H. P. Automation AND Controls Pvt. Ltd.
Switch on/off motor by a missed call/ sms. Flexible wiring kit with plug n play connectors. For catering the variegated demands of our respected clients, we are highly engrossed in providing a wide range of Mini Starter. 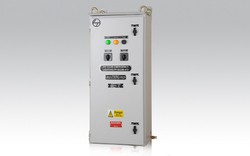 We design and manufacture a wide range of automatic Star Delta control panel boards that consists of power contactors, thermal overload relays, amps and volts meters. It finds its application in submersible pumps, agriculture pump sets, mines motors, quarry motors and industrial motors. 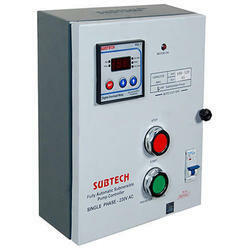 We are highly acclaimed in this industry for providing an optimum quality range of Motor Starter. For the convenience of the clients, we trade Enclosed Motor Starter and Spares that are at par with the industry standards. These are manufactured with quality material and reliable electronic components while keeping in mind their critical usage. Clients can avail these starters at market leading prices.